Today we left Bagan and headed to a very different part of Myanmar, Inle Lake. Here are a few last views of the hotel grounds and pagoda landscape. isn’t it lovely and serene? We all would have liked to stay and relax at this peaceful resort. However, off we went to the next adventure. As usual our day started early. Before leaving, however, we made a quick stop at the Bagan Viewing Tower adjacent to the hotel. It was worth it, to me anyway; not so sure if Mr. Fussy agreed. You will be relieved to know there was an elevator that took us two-thirds of the way up. A very narrow spiral staircase took us to the viewing platform. My friend Ingrid had gone at sunrise and shared a few of her lovely photos of the pagodas at dawn, and of the hot air balloons gliding over them. The sun was up by the time we arrived, casting the long shadow of the tower over the hotel grounds (fifth photo). We were most amused to see the Happy Hour sign at the tower platform. Had we known, we might have made the short trek over the previous day! From the Bagan airport we took a short flight on a regional airline to HeHo. Even though it was only an hour or so, we were served a snack. (It seemed like we rarely went more than a few hours before being offered food!) Our bus caravan then drove about 20 miles through a changing landscape with higher elevations and different flora (pine trees, for example) to Inle (in-lay) Lake. Along the way we learned more about Myanmar from our guides. As should be obvious by now, the primary religion in Burma is Buddhism. with most Burmese following Theravada Buddhism (also the major form in Cambodia). There are about 500,000 monks and nuns in the country, all supported by the people in the form of food and alms given to the monks and nuns who come to their doors regularly. Although the majority ethnic group is Burmese, more than 135 groups share the country. 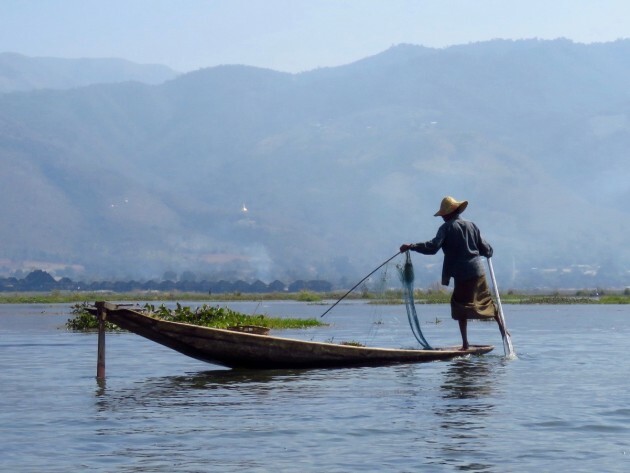 Inle Lake is in the Shan region. The way Burmese people get their names is unusual. Traditionally, there are no surnames and Burmese women keep their names when they marry, so each member of a family might have a totally different name! Names are typically a series of words that combine a particular virtue and an astrological reference to the day of the week that the person was born. Each day has certain letters assigned to it; in the name “Tun Ba Kaung,” the t in Tun tells us that she was born on Saturday. Names also include an honorific designating his or her place in the family; these change with age. Girls and young women are addressed as Ma (Sister); that changes to Daw (Aunt) when they are older. Men start off as Maung (Yonger Brother), become Ko (Big Brother), and U (Uncle) as older men. So our guide Ko Ye, whose photo you saw in Part 1, is Older Brother Ye. He didn’t seem that young, so I don’t know at what age he will become U. To complicate things further, some families take their father’s name using British naming system. For example, Aung San Suu Kyi is the daughter of Aung San. This is more unusual, however. Now back to Inle Lake, the second largest freshwater in Myanmar. Covering about 45 square miles at an elevation of 2,900 feet, it is one of the country’s highest lakes. It’s quite shallow, however. During the dry season, the water depth averages 7 feet, with the deepest point being 12 feet, and rises about 5 feet during the rainy season. Here’s a map showing the upper, wider part of the lake. To orient you, HeHo is at the top left; the boat launch is at the northern end of the lake. A 45-minute ride in a long four-person boat took us to the Aureum Palace Resort and also from there to the places we visited (Nga Pha Chaung Monastery, Phaung Daw Ooo Pagoda, and In Dein). Traveling along the lake, we felt like we were moving back in time to a much simpler way of life. The 70,000 Intha people at the lake are mostly farmers who live in four cities and numerous small villages along the lake’s shores, and on the lake itself in stilt houses. To get around they use small rowed boats or larger ones fitted with single cylinder inboard diesel engines. While our boats only had four people plus a driver, the locals pile more people on, as you can see for the photos of the children returning from school. The closeup of that picture shows how low in the water the boat was! As we motored down the lake, we came up-on a most unusual site: the leg rowers. Inle Lake is the only place in the world where this this unique rowing style occurs. The fisherman stands on the stern on one leg and wraps the other leg around the oar. The first picture shows a large group putting on a show for us with cone-shaped nets. The other pictures show the fishermen at work. We were fascinated by the way the men balanced on the narrow boats and used the oar leg to maneuver. Such balance! Don asked our guide why this style evolved. It allows them to move in a small area and keeps one hand free to work the nets. I found another reason online: The lake is covered by reeds and floating plants, so standing allows them to see above and beyond the reeds. Only the men use this technique; women row in the customary style. Don also asked how much fish they typically catch—about 5 or 6. I’m guessing they keep what they need for their family and trade the rest for fruits and vegetables grown on the lake’s floating gardens and also rice. Can you imagine that we saw all this before lunch? This post is already long, so I’ll continue our day in the next one. Fascinating, Marlene. Leg rowers!! How unique! You certainly are seeing some amazing sights. We are indeed, Judy! Will you be at reunion? Where do you plan to stay? Yes, I will be at the reunion, Marlene. We live in southwest Florida for the winter months, but still have our home in Livingston. 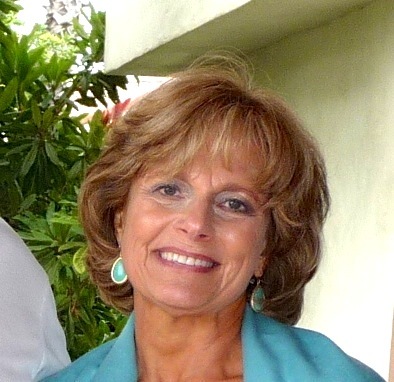 Kathy (Tichay) Palmer and her husband will be coming up from Asheboro, NC, to stay with us and go to the reunion, as well. Safe and enjoyable travels to you. What a spectacular trip! See you in a few months, I hope!